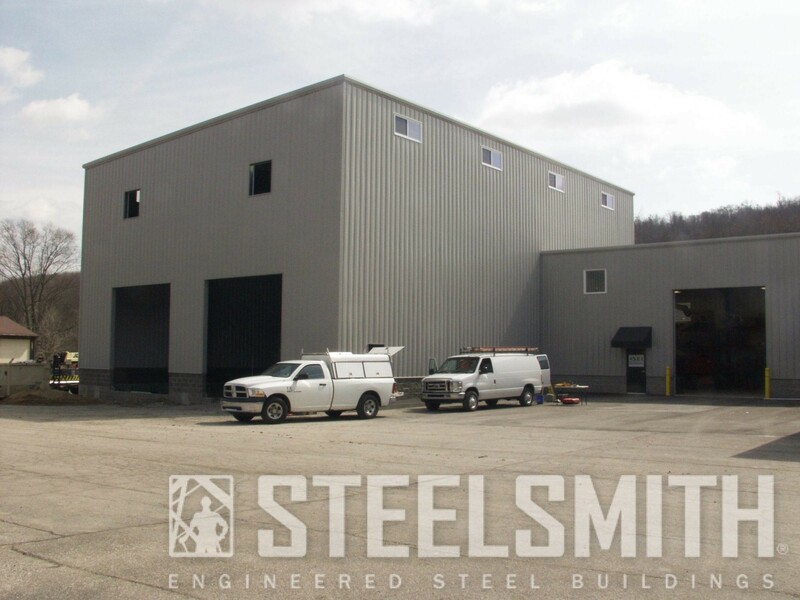 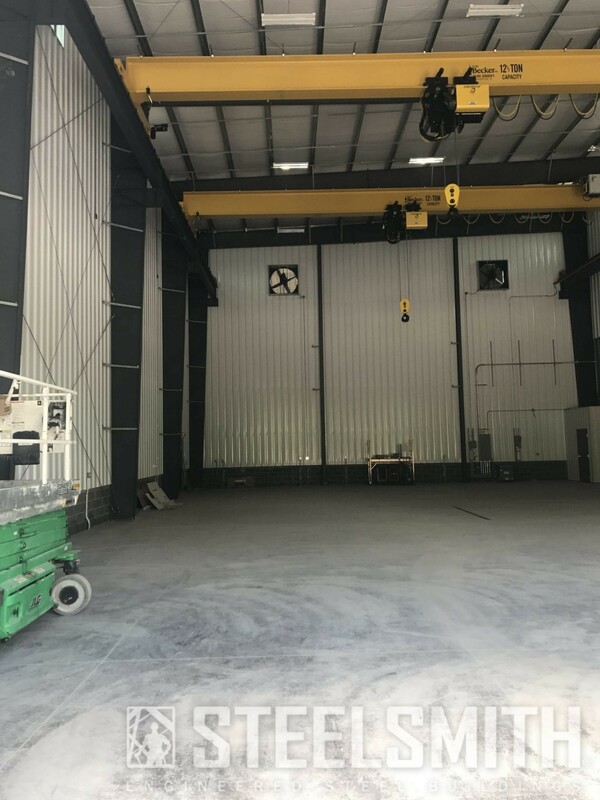 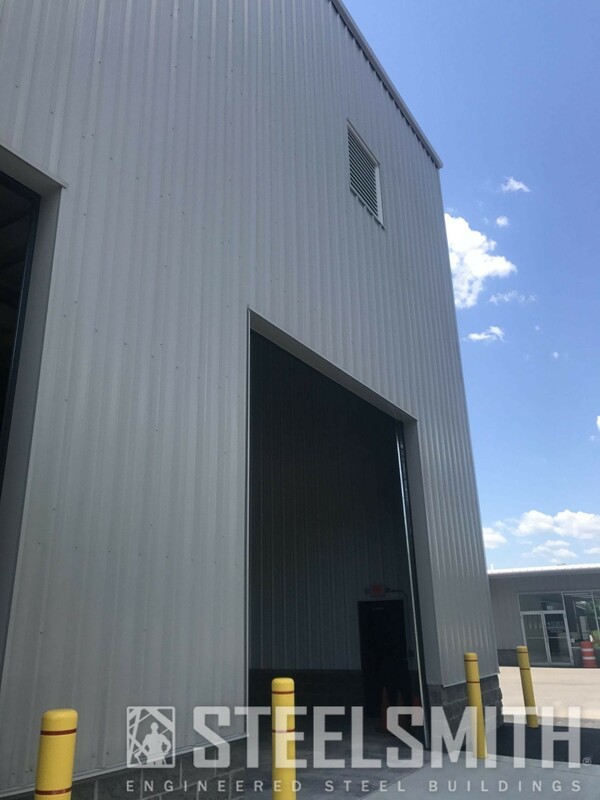 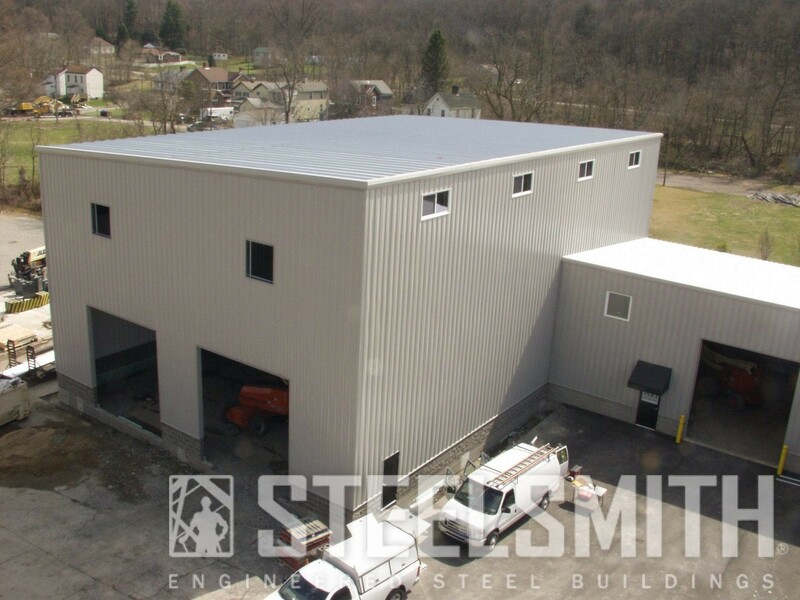 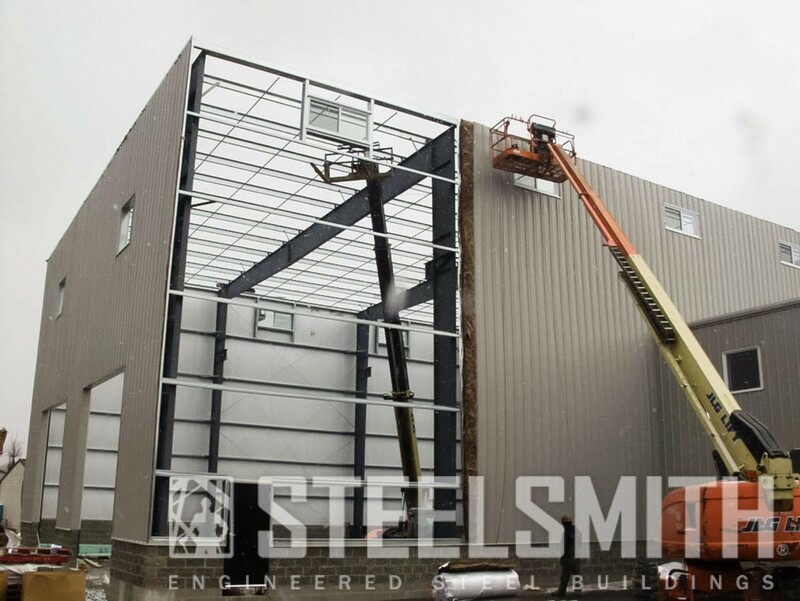 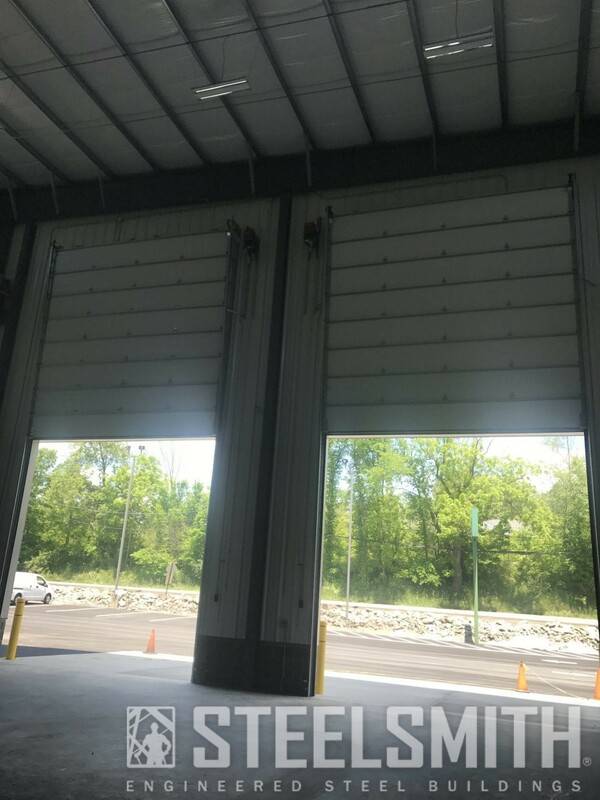 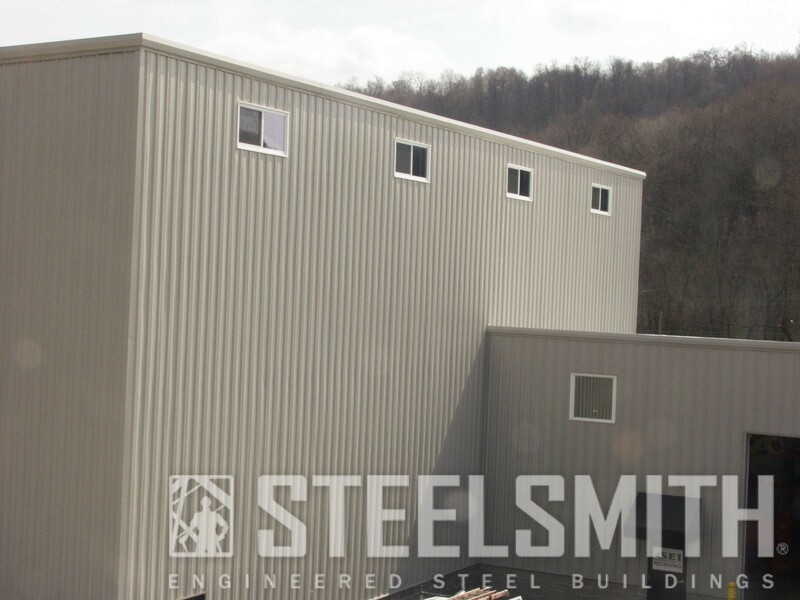 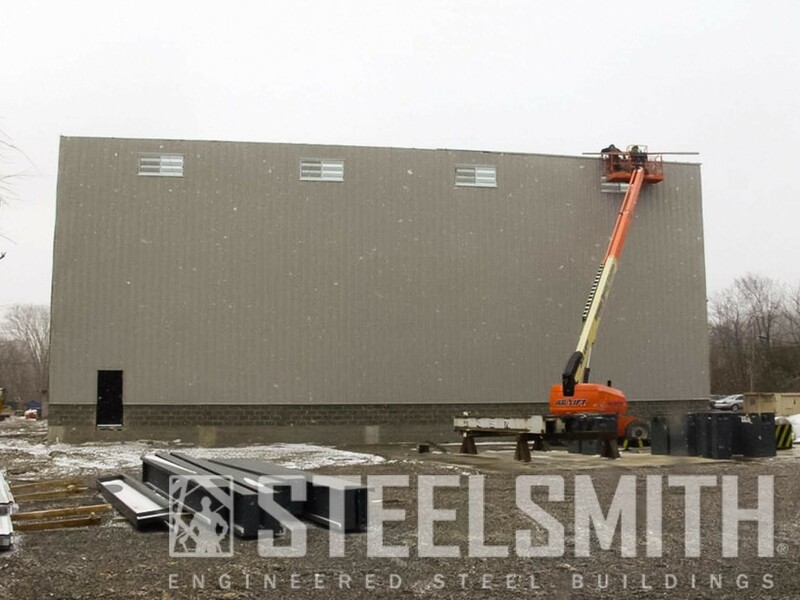 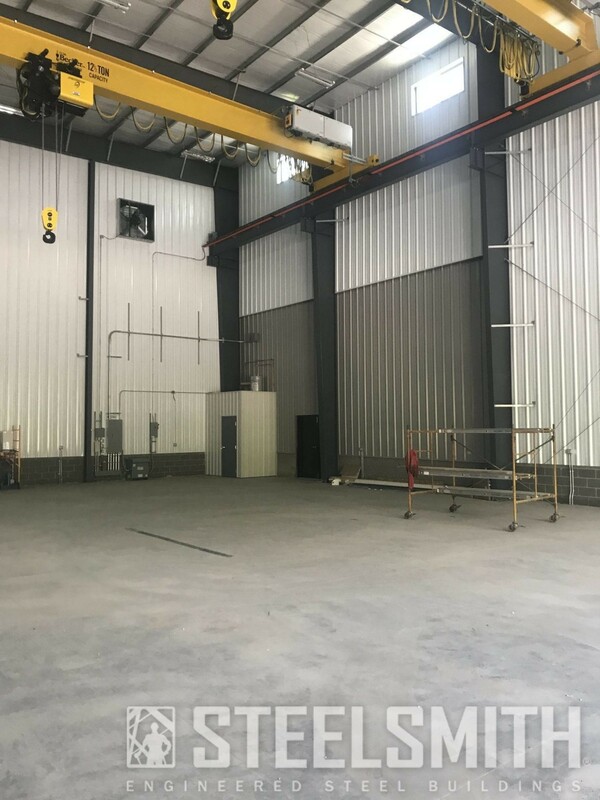 This Industrial Steel Building was built by Steelsmith in 2015. 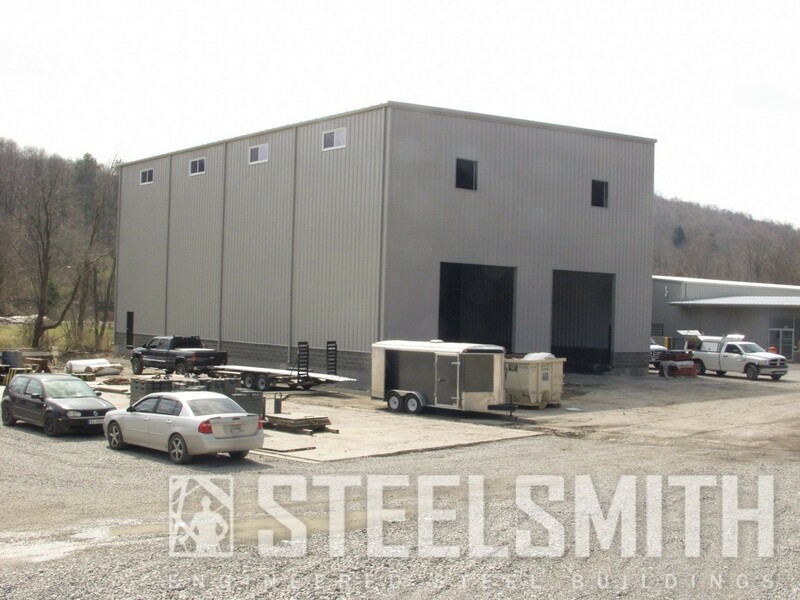 It is located in McDonald, Pennsylvania for a company called Stephenson Equipment. 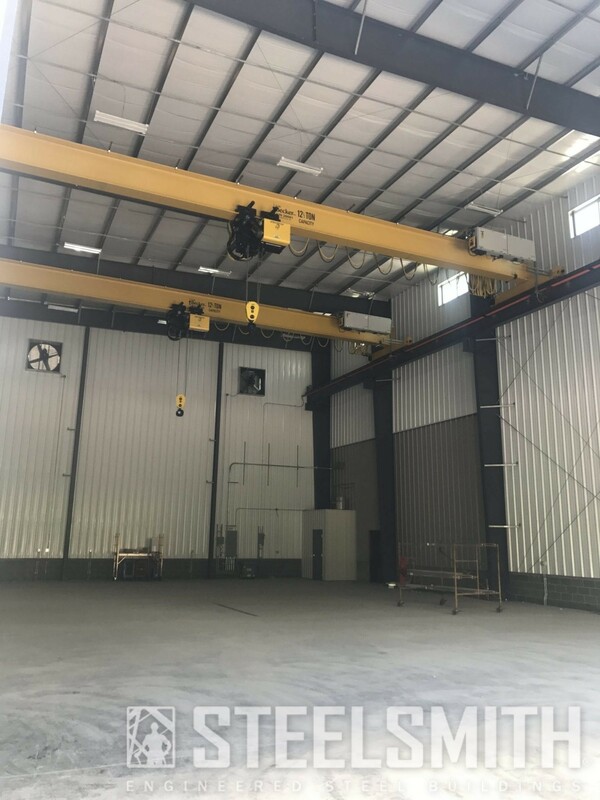 They use the building to store two very large 12.5 ton cranes.